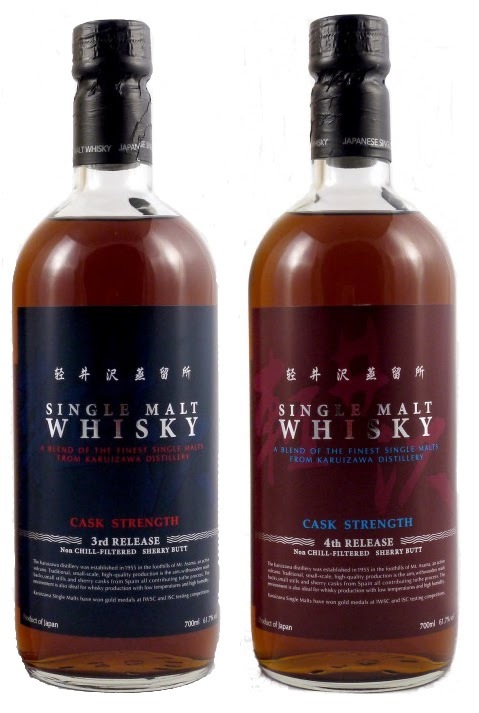 A couple of months ago, the Karuizawa distributor in Taiwan released two new instalments in his “Cask-Strength” series, which is a vatting of re-racked casks from the final two vintages (1999, 2000) of Karuizawa. We’ve already discussed the 1st and the 2nd, so we thought it was high time we tried the 3rd and the 4th. There’s more than just family resemblance here. 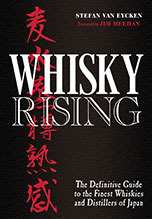 The 3rd and 4th release are eerily similar – the whisky equivalent of identical twins – but that’s one of the things that makes this series so interesting, the fact that one has to adapt to smaller dimensions (a bit like Alice in Wonderland) to find the characteristics that set the releases apart and give them individuality. On the nose, the 4th release is a bit more immediately attractive. Compared with its twin, you get more sultana raisins, strawberry sauce and overripe peaches here, as well as slight hints of smoke (humidor, smoked mackerel) and wood polish. It’s a bit rounder and smoother – sexier – than the 3rd release. There, you get a bit more of the character of the spirit, hints of pommeau and young-ish armagnac, and a more sour dimension. The strange thing about these two releases is that – if you give them time in the glass (say 15 minutes) – they sort of settle and become almost indistinguishable again, as if their breathing time increases your distance from the whiskies and, in doing so, similarities are emphasized again. On the palate, the 3rd release is more savoury and slightly more earthy than the 4th, which is a bit sweeter and fruitier. With the former – in addition to blueberry jam, figs and some tiny vegetal notes – you also get candied ginger and a drizzle of sudachi (a Japanese citrus fruit). That’s the sour dimension hinted at by the nose and it really works well in this context. The 4th release stays safely in sweeter territories (prune juice, rum-raisin cake, mince pies), which is nice and makes for an easy drinking experience. Asking which is better is a bit like asking which is the better twin. They’re just different and it depends on what you’re looking for. Sometimes you may be in the mood for something with a slightly rougher edge and then you would reach for the 3rd release. Other times, you may want to be seduced a bit more quickly and then you’d grab the 4th release. Water, again, changes things a bit and you may want to experiment with that, too – although you’ll need to be careful because they’re easily drowned! We’re big fans of this Cask-Strength series for Taiwan and hope there are more to come in the near future. These affordable Karuizawas are clearly aimed at the drinker rather than the collector, and that’s to be applauded. They’re exclusive to the Taiwan market, but they’ve also started appearing on auction sites in Europe, so if you get the chance grab a bottle or two (different releases), open them and you’re in Wonderland… just like Alice. Thanks a lot for this information - I'll be in Taiwan next month. Hopefully there's some left by then. Nonjatta is a real treasure trove of information, definitely THE go to blog for J whisky. Thanks so much for keeping us in the loop on all developments there. Looking forward to loads of interesting posts this year. Many thanks for your kind words, Coleman. It's comments like these that keep us going. We're completely independent and only do this for the love of it - without any remuneration whatsoever - so our only currency is our readers' satisfaction. Thanks again for your support. I have a friend who is visting Taipei for business. Could you please tell me which stores carry these bottles so that I can ask him to pick up 1 for me. Hi Sanjay, we're not the right people to ask. We don't have any contact with liquor stores in Taiwan. However, maybe our readers in Taiwan now. Probably best to post a comment to this post on our FB page. 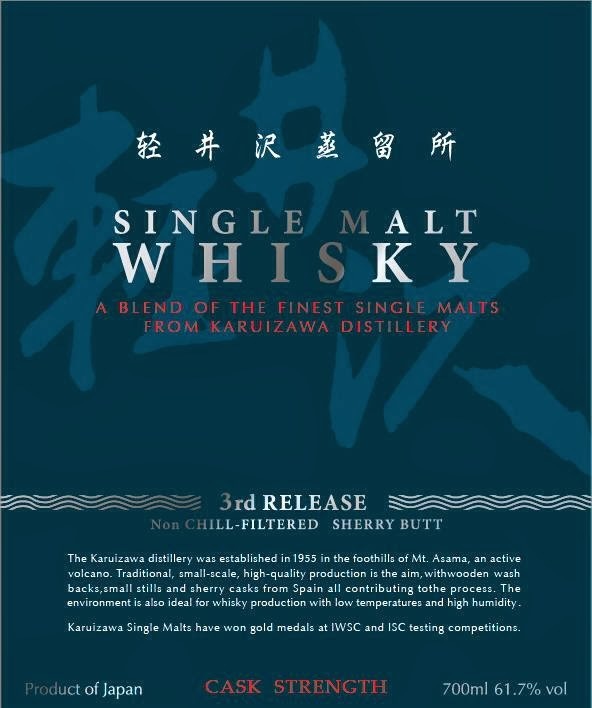 Let's hope we see some of these affordable Karuizawa's in Europe! With equally stunning labels. That's all up to the European partners (i.e. 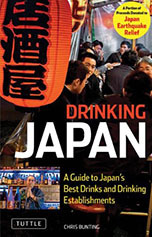 LMdW and TWE)... Write to them asking a cask-strength Asama!